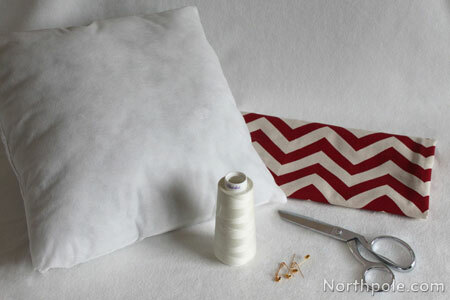 We would like to thank Peggy, a friend of the elves, for teaching us this simple way to make a pillow cover. 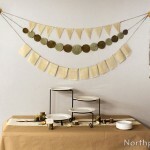 It’s quick and easy (for a sewing project), and you do not have to be very precise with the measurements. 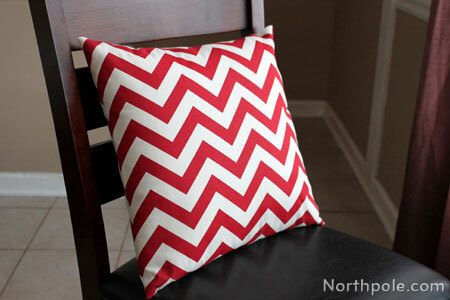 This technique is so easy that you might get addicted to making pillow covers! Another great thing about this cover is that you can easily change it with the seasons. Wash and dry fabric. Many types of fabric shrink in the wash, so it is important to do this first before you cut the fabric and sew your project. Iron the fabric to get out any wrinkles. Lay fabric on a flat surface, wrong side facing up. Measure and cut a piece of fabric that is 18" x 40". We want the fabric to be about 3x the length of the pillow. Fold each of the short edges back by 2". Pin in place and then iron. 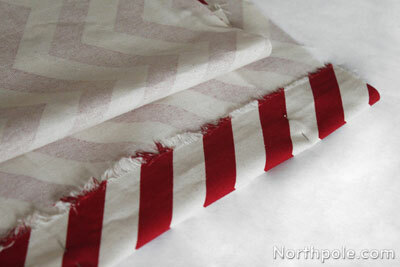 Sew a line near the fold line on each short end of the fabric. Place fabric on a flat surface, right side facing up. 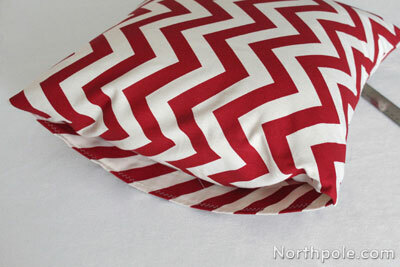 Place the pillow near the middle and fold the ends of the fabric over the pillow. 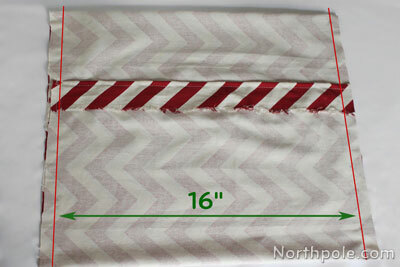 The ends of the fabric should overlap a few inches. The overlapping end should be slightly off-center. (Why? See the Elfy Hint below.) Use pins to hold the ends together. Slide the pillow out of the fabric and set it aside. Lay the fabric on a flat surface. The distance between the two fold lines should be 16". 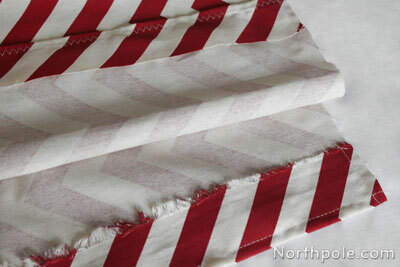 Now sew a 1" inseam along the cut edges of the fabric. The distance between the two seams should be 16". You can’t see the thread in the photo, so we drew red lines over it. Remove the pins. 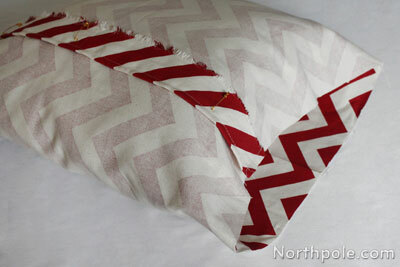 Turn fabric inside-out and place pillow inside. 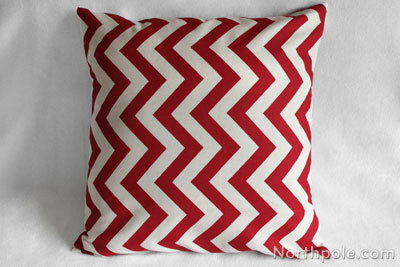 Now that your pillow is complete, display it on the sofa or where ever you like. The pillow is even Raymond-approved! 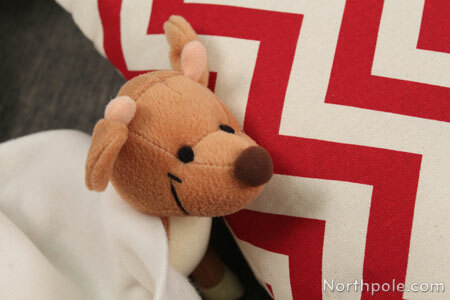 As we mentioned in step 8, you need to make sure the overlapping ends are near the center of the pillow cover. Why? If the overlapping ends are too close to the edge of the pillow, it looks like an awkward flap of fabric. 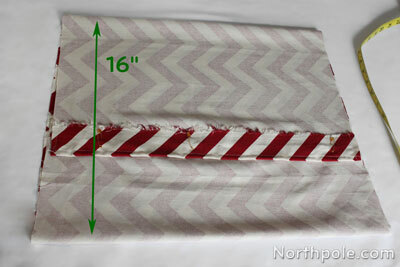 If yours looks like this, use a seam ripper to take out the seams, adjust the overlapping ends, and then resew.